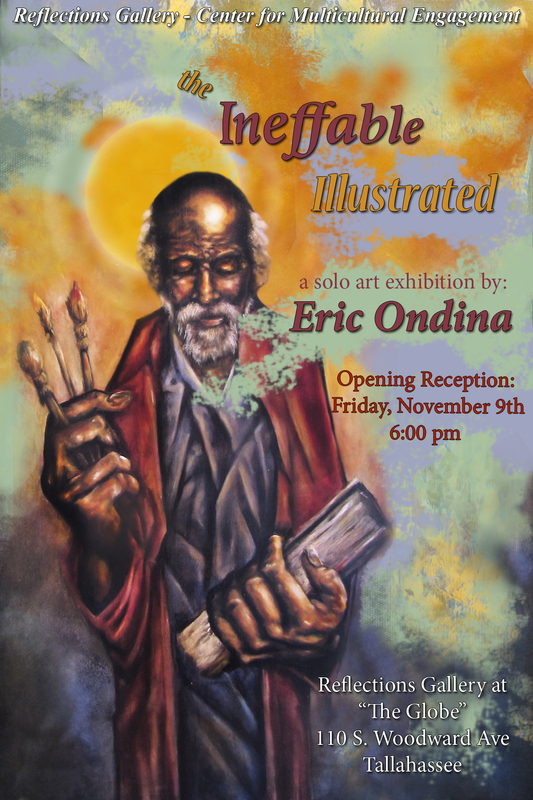 Please join us for the opening reception of ”The Ineffable Illustrated.” A solo art exhibition featuring the recent work of student artist Eric Ondina. Eric Ondina received the Mentored Research and Creative Endeavours award which subsidized travel to Israel and Palestine to research the holy art of the three major monotheisms. This exhibition explores the complex and turbulent relationship between the Abrahamic faiths and their wider social, political consequences. Friday November 9th, 6-8 PM. Reflections Gallery at the Center for Multicultural and Global Engagement (The Globe) 110 S. Woodward.